A few weeks ago we introduced Cashmere, a 100% cashmere yarn with which we created a very delicate Baby 0-12 month collection. But this fall-winter season is full of news! 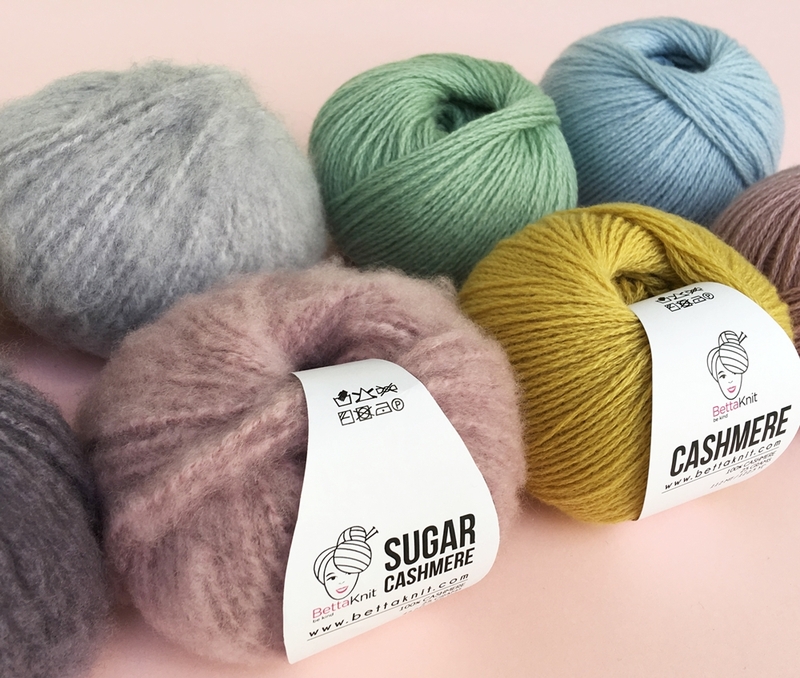 Today we are pleased to introduce Sugar Cashmere, another super precious yarn, also this one in 100% cashmere, which joins the ranks of high quality wool of our store. What are Cashmere and Sugar Cashmere? Writing about cashmere is a difficult task. The things to say are too much: we all know how precious and warm it is. In fact, it’s the oldest animal fiber in the world and it has always been considered a symbol of fashion, elegance, a status symbol. It wasn’t for all: only kings and emperors could afford it. Because the process to get the yarn was extremely costly for those who produced it and, therefore, expensive for those who bought it. What determines the quality of cashmere? 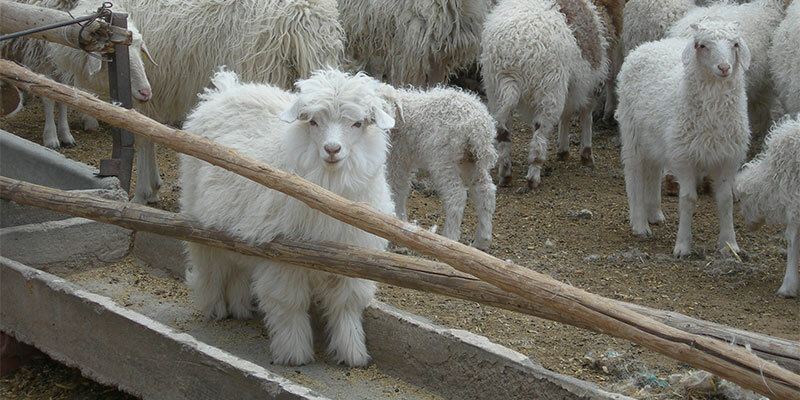 Cashmere is obtained from the fleece of a goat which lives exclusively in Asia. The quality of the fiber depends on the origin and climatic conditions. In fact, when winters are harsh and long, the goat’s hairs becomes thiner and the fiber finest. Not only. Even the configuration of the pastures has its importance on the final product. Bettaknit Cashmere and Sugar Cashmere come from the Inner Chinese Mongolia and it’s of the highest quality. Actually it’s the best quality that can be found in nature. What are the characteristics of these yarns? Both of these yarns, being 100% cashmere, have the peculiarity to keep you warm (cashmere has an insulating power 10 times higher that of wool! ), of being gentle to your skin, and to absorb moisture up to 30% of its weight. Moreover, this fiber holds a particular air chamber structure which favors thermal insulation. Reason why it is so warm and light! Finally how not to mentionthe softness: cashmere is the softest of all wool types. What a shame that intenet doesn’t return you the feeling of touch! You should touch them: Cashmere and Sugar Cashmere are extermely soft. Imagine touching the fluffy fleece of the sheep-goat. You stroke it and you don’t feel any resistance, but a light breath. This is the feeling! Now, imagine it in contact with your skin: almost a caress! Cashmere is a 6 ply, classic yarn, with a 6 ply, with a traditional look. 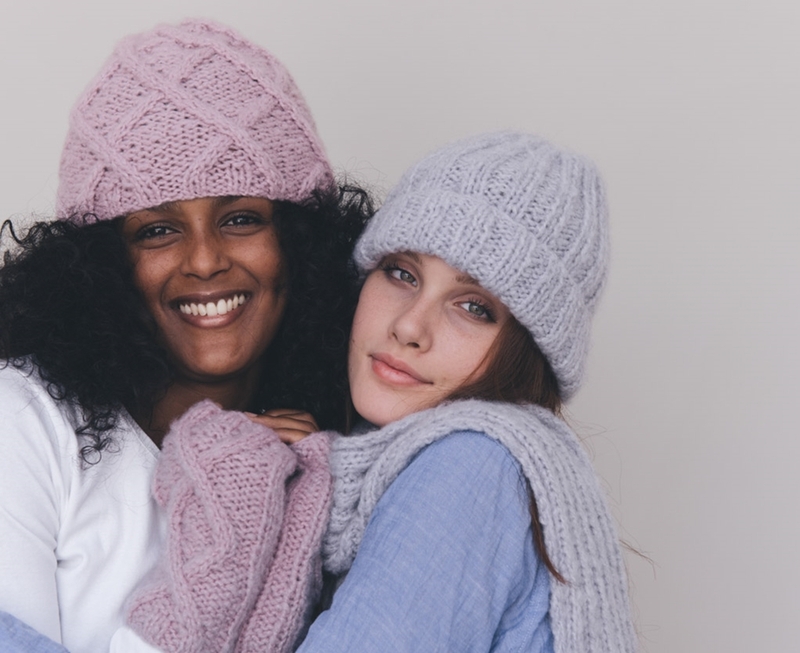 Sugar Cashmere is even more frothy, soft and fluffy! Yes, because, like our Alpaca Brush yarn, it is a brushed yarn, so it has undergone a fancy spinning process and subsequently the “brushing” treatment that created the “hairy” effect that distinguishes this yarn. We suggest you to read this post for more information on its particular production process. Count: 6/28000 (6/ply) but this is a much more technical aspect that we will talk about in the next posts! It’s available in 11 colors, from baby shades perfect for children, to bolder and more contemporary shades. It’s available in 10 colors, in classic shades. How to wash your cashmere clothes? 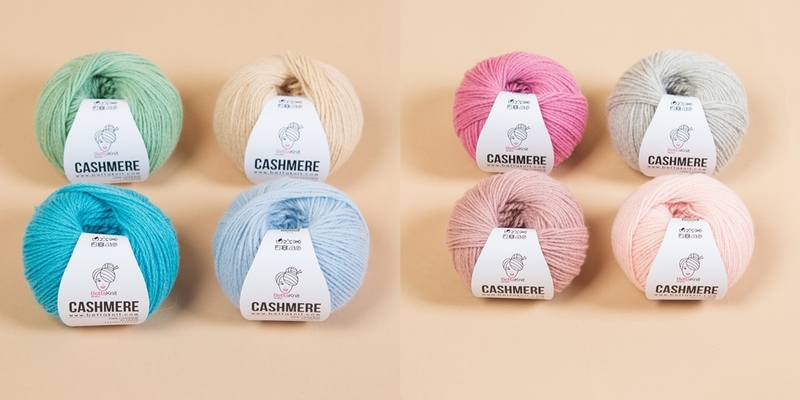 Bettaknit cashmere yarns are delicate, high quality yarns. So, if you want your clothes are kept as long as possible, you have to treat it with care. Especially during washing! Wash your garment by hand in warm water (30°) with a specific, mild soap for wool. It’s perfect to this purpose our Wool Care Kit! We recommend: don’t keep it to soak for too long otherwise the fibers are ruined! If, once dry, there should be creases, iron it inside out by setting the iron temperature on lower-middle. Don’t iron the garment directly, but use a cotton cloth as a filter, or better steam it from a distance of about 15 cm! Where can you find Cashmere and Sugar Cashmere? You can find them both on our store, in Yarns/Yarns Wool section. They are perfect for accessories. As a matter of fact, a pure cashmere scarf will surely be “your best friend” in the cold season! Are you already rushing to buy them? It’s worth it! …do not forget to share them on your social networks with the hashtags ##bettaknit and #ilovebettaknit! ..and if you want to ask us some questions about this yarn or other products, we will be very happy to answer you! Contact us on our social (Facebook, Instagram); through chat site or writing an email to betta@bettaknit.com.